ELMACO produces three phase oil immersed power transformers, core type, continuous operationand natural cooling (ONAN ) and / or forced cooling ( ONAF ) . Transformer tanks can be manufactured as tank walls and radiators. The tank is designed to withstand complete atmospheric pressure ( 1 bar ). Insulating materials used in the windings and the clamping structure, are of high temperature resistant and have a comparatively small volume. 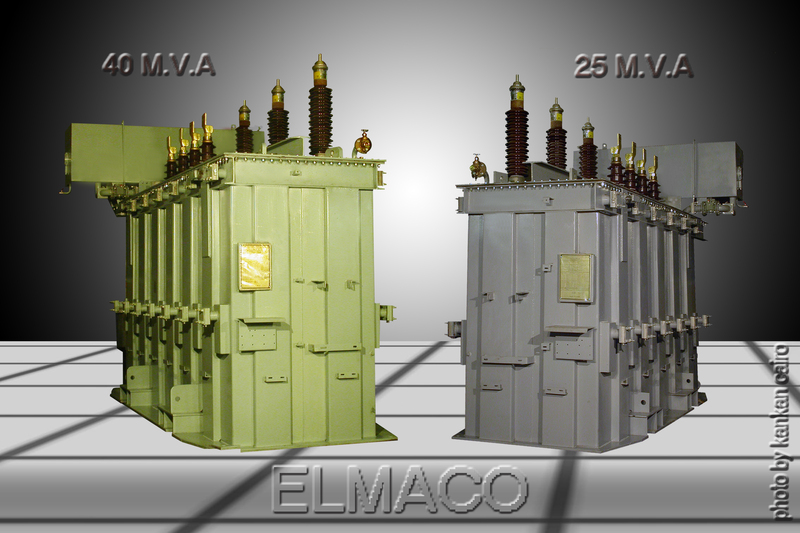 ELMACO transformers are manufacured from highest quality materials and by the most modern and reliable methods. The size of transformer is designed to suit the dimension of 25 M.V.A. room so it is easy to replace 25 M.V.A. transformer by 40 M.V.A. in the indoor substations. The Transformer is provided with flux collectors ( Magnetic shield ) which reduce the high magnetic stray flux density and accordingly the value of stray losses. Tank & Conservator And Fitting.